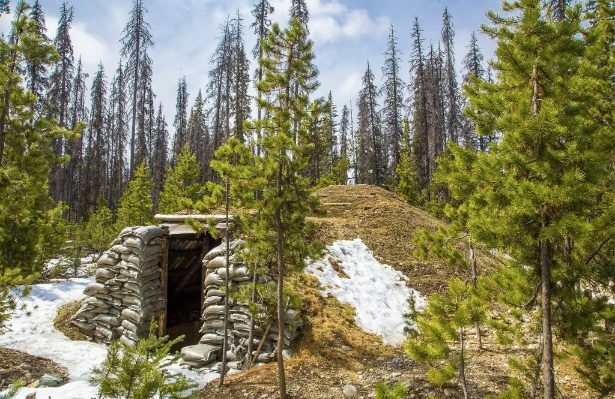 By reoccupying their traditional territory in Canada eight years ago, the Unist'ot'en clan are showing how decolonization and climate justice go hand in hand. We visited the occupation this summer. Upon arriving, visitors must undergo a border-crossing protocol. 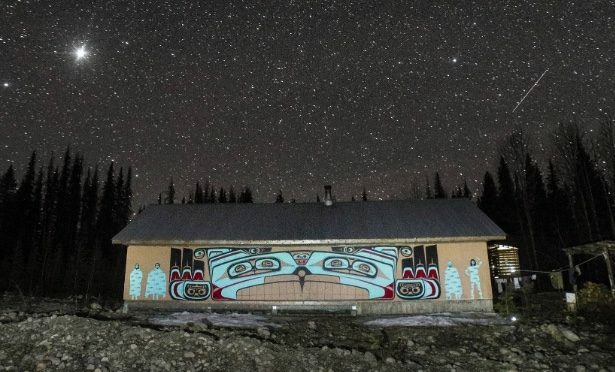 There is only one way in and out of Unist’ot’en territory – a bridge that crosses the Morice River. 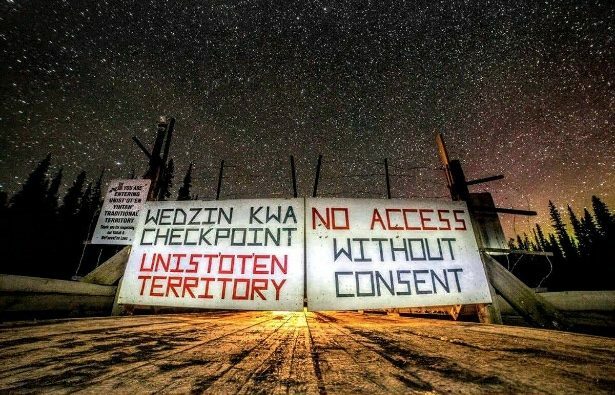 Before being allowed to cross, we were asked where we came from, whether we worked for the government or the fossil fuel industry, and how our visit could benefit the Unist’ot’en. 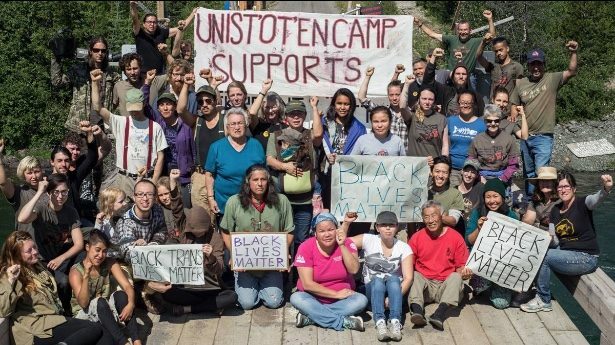 The Unist’ot’en occupation has already contributed to the cancellation of five pipelines, including Enbridge’s Northern Gateway project – a multibillion-dollar development that would have pumped bitumen from Alberta’s tar sands to Canada’s Pacific coast. The two proposed incursions onto Unist’ot’en territory that remain are both fracked gas pipelines: Chevron’s Pacific Trails and TransCanada’s Coast Gaslink.